Thousands of Hindus around the country will celebrate the last day of Ram Naumi, the birth of Lord Rama today. 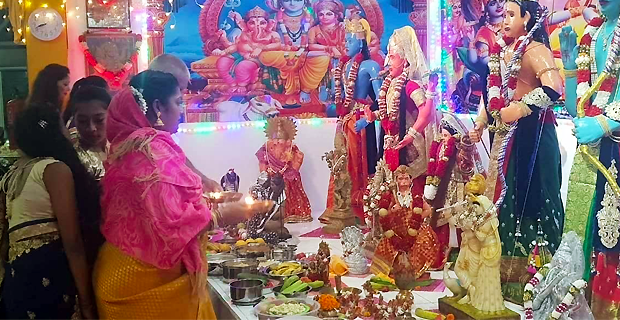 The National Secretary of Sanatan Dharam Pratinidhi Sabha of Fiji, Pundit Vigyan Sharma, has encouraged everyone to attend this prayer ceremony as Fiji is a multi-cultural country and there is no scope for racism. Sharma also highlighted that apart from celebrating the birth of Lord Rama, this was a time to reflect on the type of life Lord Rama led as a son, a brother, a husband, a King and as an individual in the society which reflects back to us as responsible citizens of this country. Sharma also said that while people later during the day will be going out to the seaside for prayers, they are mindful to not throw plastic bags into the sea as their purpose is to pray and not to harm the environment. The Ram Naumi celebrations will be concluded around midday today.